Since the altitude in Huaraz is more than 3,000 meters (over 9,800 feet) above sea level, Saturday was spent taking it easy and trying to acclimate to the change in altitude. 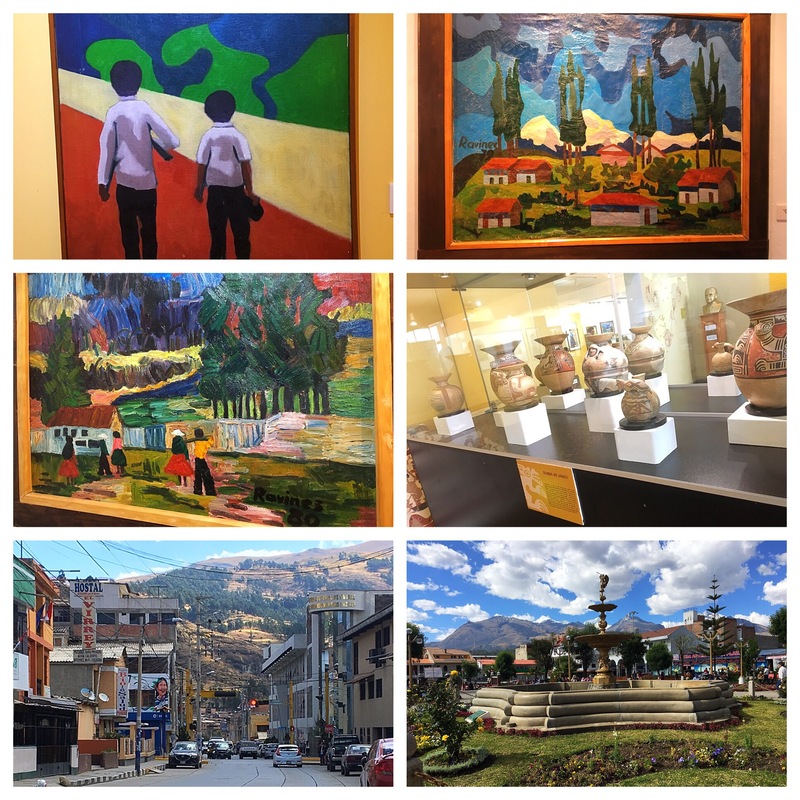 On Sunday morning, we stopped by the Museo Arquelógico de Ancash- Huaraz, where we saw beautiful art from a famous Peruvian painter, in addition to artifacts that are centuries old. After walking through the museum, we stopped by the city’s Plaza de Armas and strolled through the city. 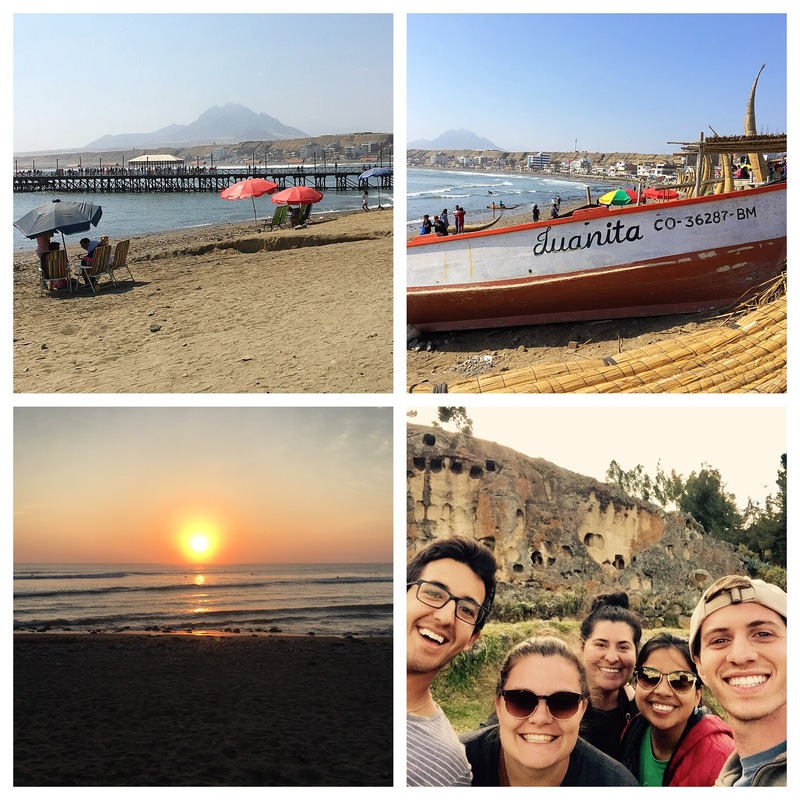 We returned to our hostel shortly after to get a good night’s sleep, since we had plans to tour Laguna Llanganuco first thing in the morning (as in 5:00am). What I failed to mention in yesterday’s post is that after arriving to Huaraz, eating dinner, and watching the concert in the Plaza de Armas Friday night, I spent the entire night learning about the effects of altitude sickness. (Now that I’m a few days ahead writing about my experiences a few days ago, I don’t have to worry about my mother and grandmother sending over a team of doctors to check up on me.) While I can’t exactly say I was grateful for the opportunity to gain such firsthand knowledge, the effects of altitude sickness are much more inexpensive than a colonoscopy or endoscopy, but probably just as effective in cleaning out one’s system. So, at least there’s that. Tomorrow’s hike will entail more than four miles of trekking through both flat and mountainous terrain, with the highest peak (at least that we’ll reach) being 15,000 feet above sea level. Before I scare myself out of going on this trek by writing more about the terrifying details, I’ll leave it at that and say here’s hoping for the best.